There are 9 (yep, 9!) downhill ski areas in the state. New Mexico’s resorts cover more than 4,000 acres of snowy terrain. From the steeps of Taos Ski Valley in the north, to the views of the Rio Grande Valley from Sandia Peak Resort, to the easy southern access of Ski Cloudcroft, they show just how beautiful the high-altitude landscapes of the Southern Rockies can be. One of my favorite spots is Ski Santa Fe. The small-town vibe down the hill from the resort is super welcoming; strolling the plaza and browsing the selection of handcrafted turquoise jewelry post ski or board gives a whole new meaning to après-ski. El Niño is coming, and it’s going to be epic. You can never be sure how much snowfall will bless northern New Mexico and make for those near-perfect conditions of fresh powder. But this year’s El Niño effect will surely pack a punch for those of us craving fresh tracks on skis, board, snowshoes, and sleds. Red River, Taos, and Chama have already gotten significant dumps, with more to come! You can walk down luminaria-lined streets. A luminaria is a paper lantern — a brown bag filled a quarter of the way with sand and topped with a candle. Very simple, but the end result is a golden glow that twinkles through the night. They’re a beautiful New Mexican holiday tradition you’ll find on streets and atop commercial buildings in the state. Picture thousands of them lining our downtown squares, where lights and decorations adorn every roof, bench, and window. 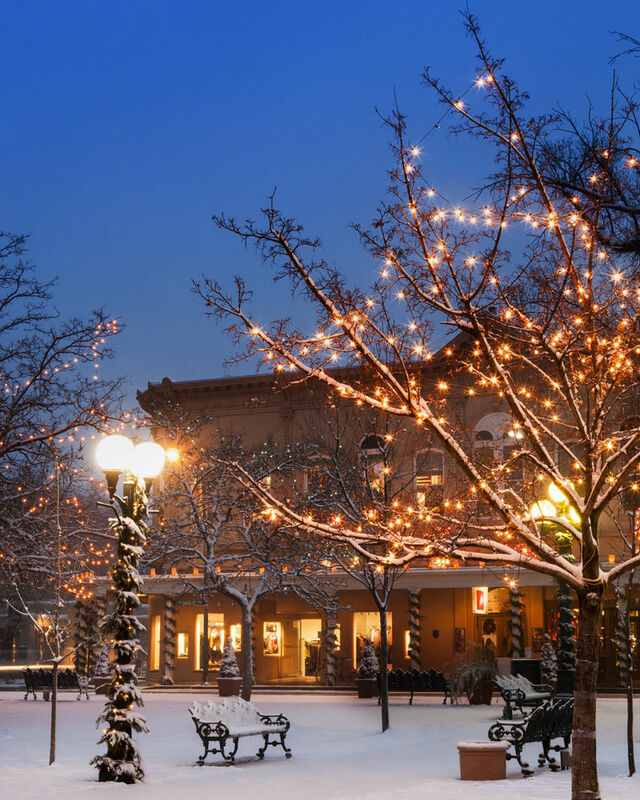 Every December, we walk through Albuquerque’s Old Town Plaza for the Luminaria Tour to the tune of holiday jingles and the smell of fresh tortillas and tamales. The 19 Indian Pueblos of New Mexico host dances and festivals throughout the season. Winter’s feast days see Native American tribal members and the surrounding communities come together to celebrate cultural traditions. As the sun rises over the Sangre de Cristo Mountains on January 1, dancers from Taos Pueblo perform the ceremonial Turtle Dance in ornate clothing — including 5-foot-tall headdresses decorated with orange, red, and white feathers and beading — to celebrate the new year. Other pueblos, like Nambe and Acoma, celebrate King’s Day on January 6, in honor of new leadership, with Antelope, Buffalo, and Deer Dances performed to the beat of handcrafted drums. Most feast days are open to the public, and photography is not allowed, which enhances the immersive experience. New Mexico is home to sacred hot springs. 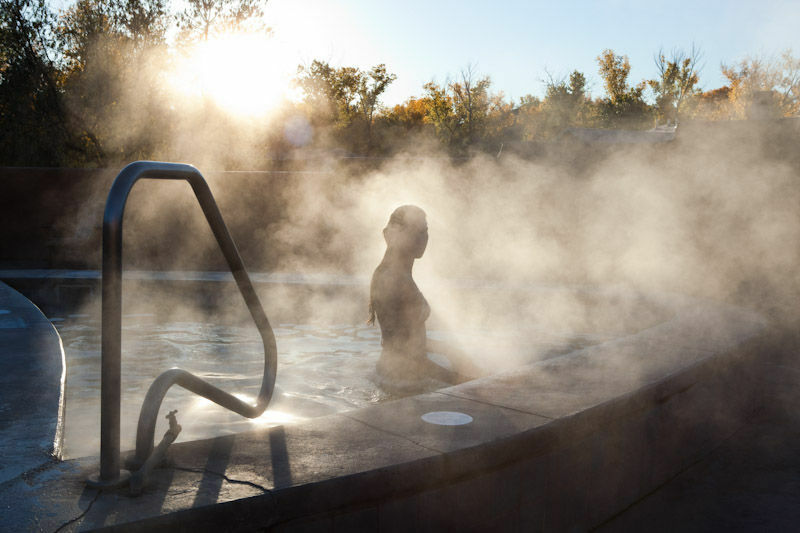 The waters at Ojo Caliente are cherished as sacred by the Tewa tribe of northern New Mexico, and they’re the only hot springs in the world with four different kinds of sulfur-free, healing mineral waters: iron, lithia, soda, and arsenic. Travelers have been visiting the Ojo Caliente resort, about an hour north of Santa Fe, since its founding in 1868. Picture this: the warmth of the springs while the snow falls, the sun setting over Carson National Forest… You can visit just for the day or stay overnight in the cliffside suites, pueblo suites, or in your tent or RV on the Ojo campus. Tip: Show your lift ticket from any New Mexico ski resort and you’ll get 20% off your stay. Our high country is dog friendly. An hour north of Taos, exploring the Sangre de Cristo Mountains takes the form of snowshoeing and cross-country skiing at Enchanted Forest. The area has over 19 miles of ski trails, 11 miles of snowshoe trails, and three miles of trail you can enjoy with your dog. Accommodations range from staying at a lodge in Red River to renting out one of the yurts on the property. Both give a feeling of deep connection to the surrounding forest. We have some of the best cross-country terrain in the country. Valles Caldera is a 13-mile-wide, collapsed volcanic crater in the Jemez Mountain Range where cross-country skiers and snowshoers come to experience the pristine, snow-covered landscape and watch for local wildlife — elk, coyotes, and bald eagles all frequent the area. If you need to rent gear, you can do so in the town of Los Alamos, 15 miles east of the preserve. Here, we ski with fire in both hands. New Year’s marks a special time at major ski resorts like Angel Fire, the Red River Ski Area, and Ski Apache. Each erupts with fireworks in celebration, but the most notable tradition is at Taos Ski Valley: Every New Year’s Eve, ski patrollers, instructors, and friends zip down the epic Snakedance run with flaming torches in both hands, while fireworks light up the snow in shades of red and blue. 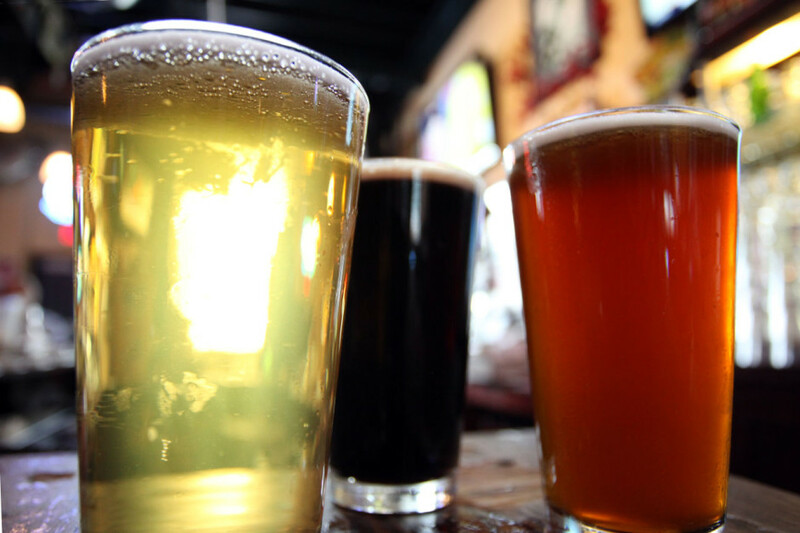 Fact: Craft brews taste even better when it’s cold outside. Our local craft beers are served year round, but somehow they taste even better after a day wandering the snow-capped hills or mountains. In Albuquerque, La Cumbre Brewing and Marble Brewery bring authentic New Mexican flavors to the fore — like Wildflower Wheat, made with New Mexico wildflower honey. Both breweries offer tours and tastings. You can also drive an hour north for a tour and tasting at Santa Fe Brewing, or head north of Taos town to pick up a growler, grab a bite, and listen to live music at Taos Mesa Brewing. Taos gives steep a whole new grade. The steeps of Taos, mostly off of what’s known as “the Ridge,” are what make Taos Ski Valley one of the ten most challenging ski resorts in the country. Avid skiers hike the ridge to the West Basin for crazy steep and narrow chutes, or venture over to Kachina Peak (elevation 12,481 feet) for an adrenaline rush down ridiculous terrain. The ski area, 2.5 hours north of Albuquerque, also just opened a new chairlift that lets you skip the hike and ride straight to the top of Kachina. 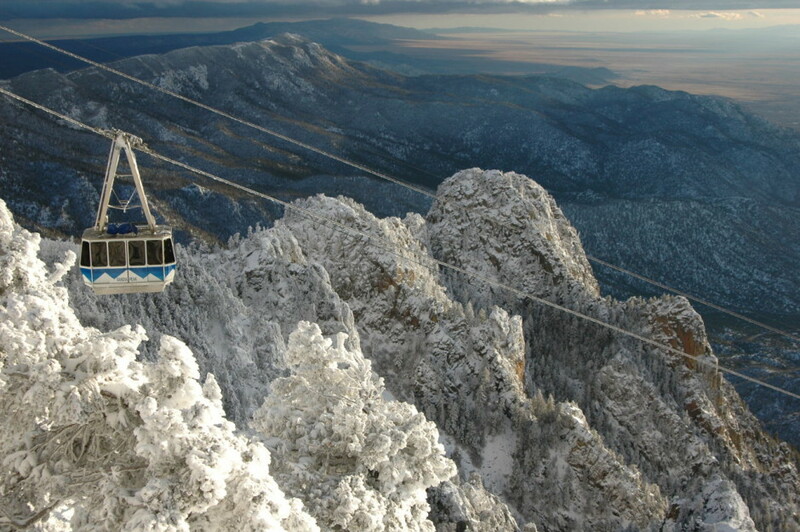 The Sandia Peak Tramway provides access to an incredibly scenic ski adventure. Starting from the northeast edge of Albuquerque, the 2.7-mile-long Sandia Peak Tramway is the longest aerial tram in the US. The 15-minute ride takes you along the crestline of the Sandia Mountains, over cliffs and pinnacles, and up to the landing platform at 10,378 feet for panoramic views of the Rio Grande — it’s an incredible sight, especially at sunset. And it’s even better in winter. If you have your gear on, approximately 20 steps from the landing platform you can click in and shred the slopes of Sandia Peak ski area. The views are even sweeter when you’re on a snowmobile. On some days, high-exertion activities like skiing the moguls is too much. So I opt for an adventure that’s just as scenic by swapping my boots and skis for the keys to a snowmobile. A.A. Taos Ski Valley Wilderness Adventures gives tours around the peaks and ridges above the ski valley. The area feels untouched, with few to no tracks in sight aside from the occasional footprints of small mammals. Tours head out up to three times a day from the base of Chairlift 1. Dress warm, and don’t forget sunscreen. Red and green chile turn up the heat when it’s cold. 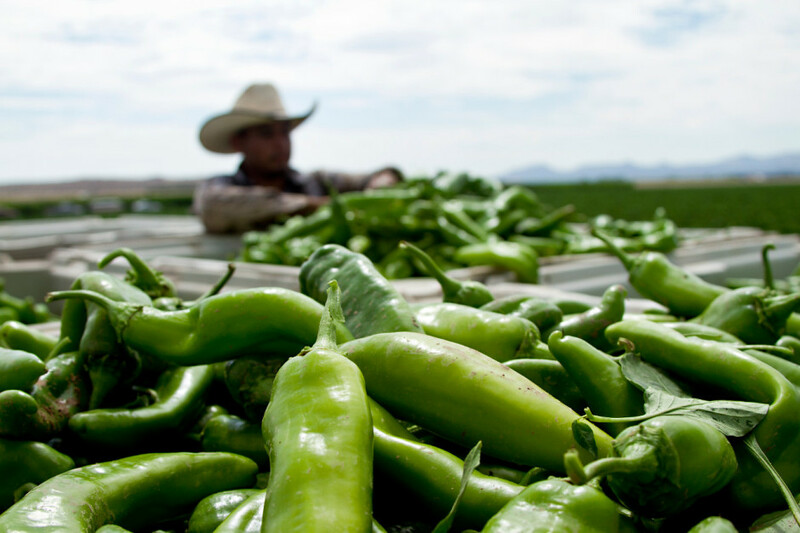 It’s all about the red and green chile in New Mexico. Most locals will order their enchiladas, burritos, or tamales “Christmas style,” meaning both red and green chile are smothered atop these classic dishes. The red usually packs a heavier punch on the spice scale, but either is good for clearing the sinuses and making you sweat when it’s near freezing outside. The traditional dishes for winter are posole (a spicy corn stew made with pork and soaked in lime and chile), tamales (made from a cornmeal dough and filled with chicken or pork), and biscochitos (a spicy, rich, and crispy cookie doused with cinnamon sugar — it’s the official state cookie of New Mexico! ).